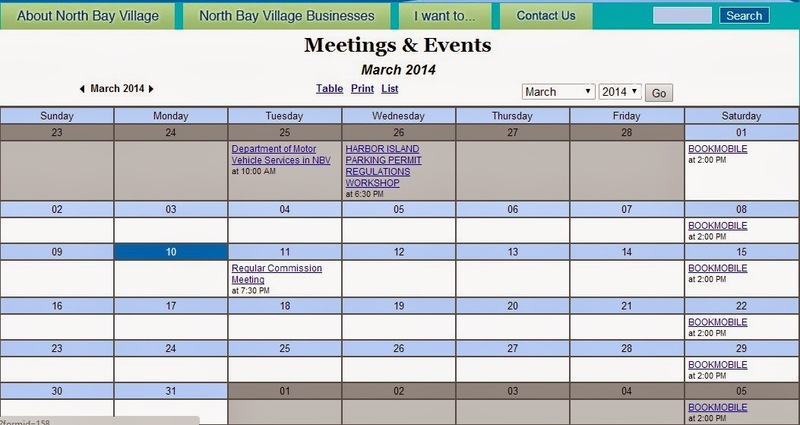 North Bay Village Reality Based Community: Has The Commission Just Given Up? The appointment of a permanent building official by entering into a contractual relationship with a third party. The appointment of a public works director by entering into a contractual relationship with a third party. Changing the insurance program to allow elected officials to participate at their own expense in the village's health plan. Renting yet another piece of real estate for our commission. Funding a health program for the school. Now each of these proposals has its merits, except for renting new commission space for our permanently temporary village hall, but each of them should be discussed and understood by the commission. Trying to jam them through as a consent agenda contravenes the purpose of the commission to act as the board of this village. We'll see how it goes tomorrow. In that same spirit, you might notice that except for P&Z, there is no board activity to report on and nothing on the calendar for this month. This is all bad. No discussions. No commiunity. No events. It's like we don't have a government at all.